My gentle friend Raquel passed away in September 2015, at the age of 16,5 years. When Raquel was about 5 years old, she was found on the streets and was brought to the shelter. People in Spain then adopted her. After almost 6 years the shelter received a phone call from the adopters, they wanted to bring Raquel back because they were moving out and they couldn’t bring Raquel with them… The volunteers of the shelter went to the house where Raquel lived all these years and when they arrived they were in tears… because it turned out Raquel had lived all that time in the garden, she wasn’t allowed to go in the house, they didn’t walk with her and she was very skinny. They immediately took Raquel with them and gave her all the care she needed. When Irene saw her on the website of the organization in the Netherlands (who works together with the shelter in Spain), she was deeply moved by the look in Raquel her eyes, so soft but also sad. It was just around the time Irene was thinking about giving a home to an older dog who really needed a safe place and all the love they most probably never experienced. So, it’s obvious Raquel came here. In the beginning, she was very withdrawn, didn’t dare to show herself. Express her own feelings, because she never was allowed to just be herself. Irene will never forget the moment when they were outside and Raquel was just standing there, like she did every day, not knowing what to do or what was allowed. Irene was just talking with a happy voice and walked a bit around, giving Raquel all the space she needed. And suddenly, Raquel began to walk… , then walk a little bit faster…, then all of a sudden she went in full gallop! After a few meters she stopped, looking around, a little bit confused like ‘What did I just do? !’ Then she heard Irene her voice, a very enthusiastic tone but in the same time a soft sound. She lifted her head, with a gleam in her eyes and went again in a beautiful gallop. Soooo happy! And so fast! She made turns and crazy moves and had a big smile on her face. Irene was in tears, you can imagine… From that day on Raquel knew she was home, really home! 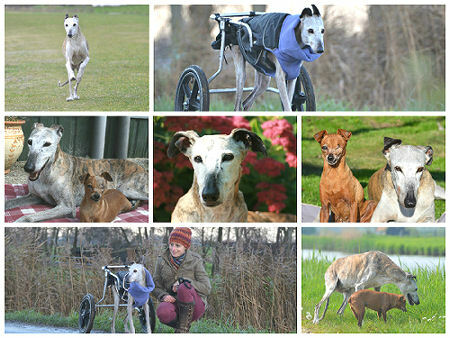 In the last year of her life Raquel had a wheelchair because her hindquarter became too weak to stand or walk for longer times. She was very happy with her wheels, enjoying this wonderful help with walking. 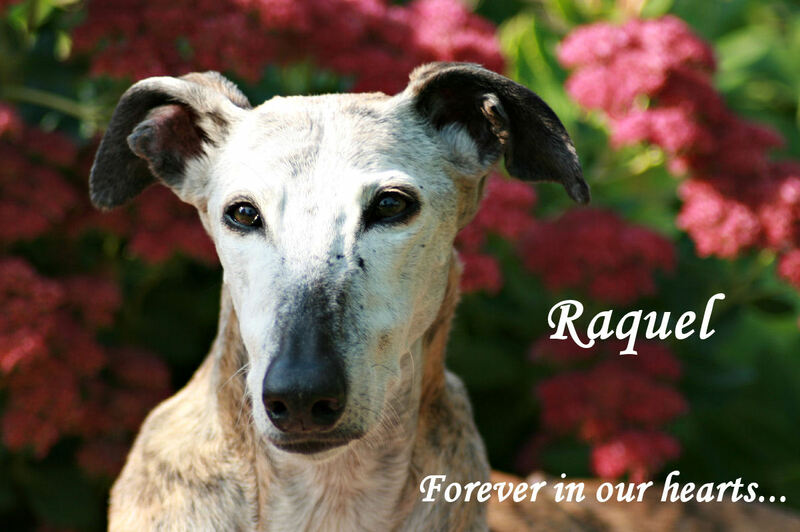 Thursday, September 24th was the day we had to say goodbye to our dearly beloved Raquel. Her spirit was till the end very strong and therefore it was hard to let her go, but she passed away in the arms of Irene, surrounded with our profound love and so she went very peacefully.